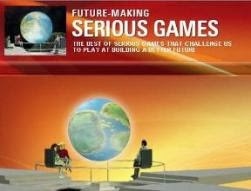 Precisely 3 years ago I posted to my legacy blog the article Is Serious Gaming In Apple´s Future - 700 Diggs! At that point, the referred speculation already sounded like a serious possibility, as Apple had been creating software on its own to fill in some niches to show others how it's done on the Mac, along with Apple CEO Steve Jobs’ statement, in his iPhone Introduction at the Macworld Conference & Expo 2007, that "If you are really serious about hardware you have to develop your own software". Regardless who the software creator is, there is now enough hard evidence to declare that the increasing adoption of iPads and iPhones to create a Learning Ecosystem has also the potential to accelerate the adoption of Serious Games into Educational Frameworks. Following my latest posts iPad & Serious Games To Revolutionize The Way Students Access Core Curriculum, Serious Games For iPad Put Children In The Education Driver's Seat, and Predictions To Rock The Education World: Tablets As Serious Games here is the most recent example I came up with. LOS ANGELES, CA -- (January 6, 2011) - Hug a Panda has launched its first educational iPhone/iPod touch game called Q Racer for learners in middle school, high school, and beyond. 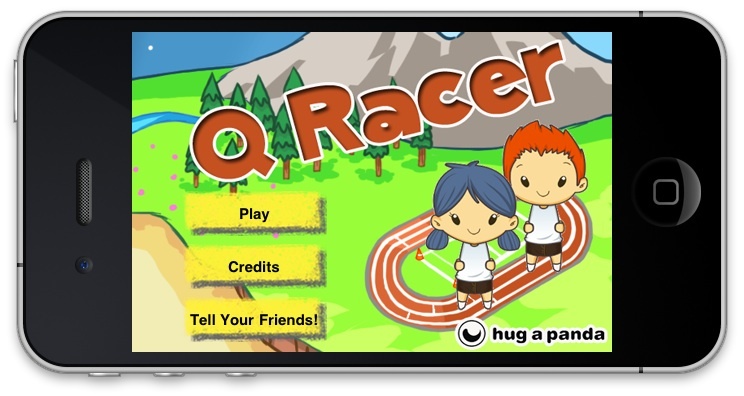 Q Racer is a trivia racing game designed not only to test what a player knows, but help players learn the content as they play. In each of Q Racer's three race types players answer questions from themed word lists. There are 100 lists including Roman numerals, French vocabulary, and the periodic table of elements. As players win races and master lists they earn badges and coins that can be used to purchase additional lists. More importantly they learn the content presented in the lists. 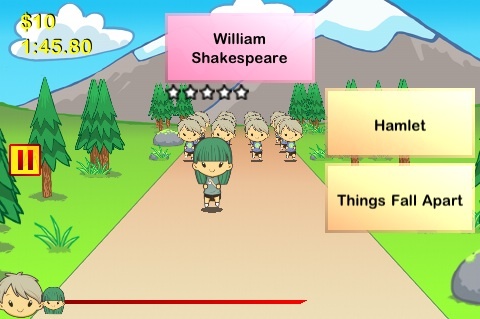 Q Racer features a unique learning engine where it monitors a player's performance and chooses when and what questions to ask so learning never becomes too easy or too hard. The game adapts to player’s ability and presents questions and answer choices to best maximize memory retention based, in-part, on Ebbinghaus' forgetting curve. 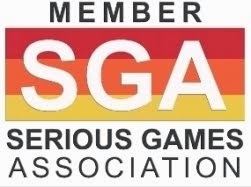 What makes Q Racer unique is the combination of gaming elements and sound scientific learning principles. The result is players can learn new information without realizing they are learning. 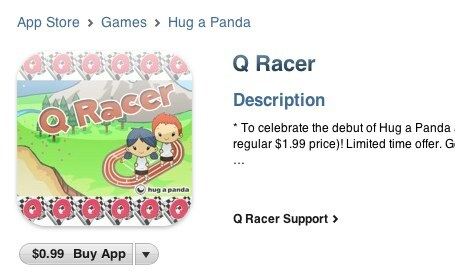 Q Racer is currently available in the Apple iTunes. Hug a Panda’s mission is to create great casual learning games, games where the fun comes first and learning comes second. 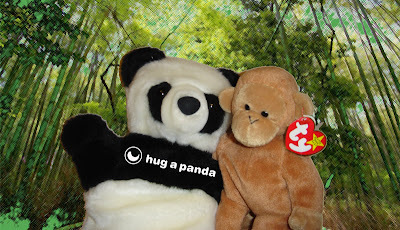 Hug a Panda strives to create games that are addictive and fun, but at the same time help people learn new information. Games people can feel good about spending hours playing.